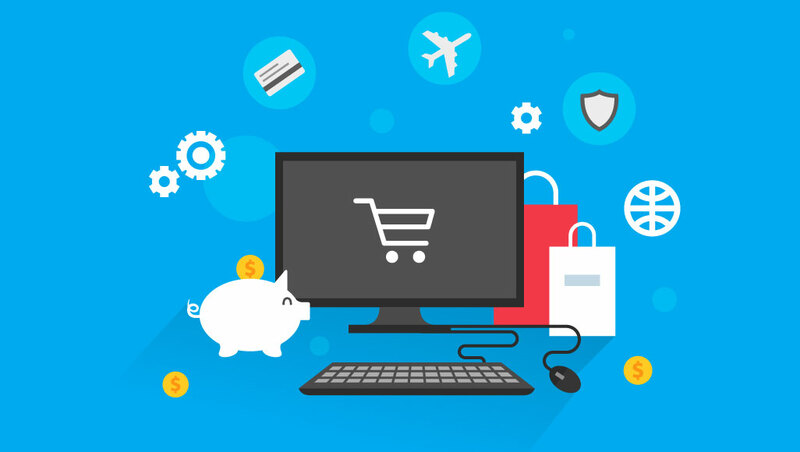 Today’s B2B buyer wants the option to place orders online, and as such, manufacturers and distributors selling wholesale across all industries have responded by implementing B2B eCommerce. If you’re a supplier who hasn’t yet moved your B2B business online, it’s probably the case that you have some important questions about rolling out your own B2B portal. What should my B2B portal include? What are some examples of B2B portals? How can I set up my own B2B portal? At the most basic level, the definition of a B2B portal is a site where your B2B buyers can view your digital catalog and place orders from you online. B2B portals are sometimes part of a greater B2B eCommerce platform—one that includes both a B2B web portal and a B2B mobile app. Given the expectations that your B2B buyers have built in their consumer lives (they want the option to order from multiple devices), you should make sure your B2B eCommerce platform includes multi-device support. B2B portals come in all shapes and sizes and vary widely with respect to functionality, design, ease-of-use, and the B2B portal’s ability to accommodate your business workflows. A user-friendly buyer experience. If your customers have to work too hard to figure out how to place an order, they won’t place orders online. Access to past order history. Buyers love having access to their previous orders. Ideally, your B2B portal should allow your buyers to duplicate and modify a past order for quick and easy reordering. Customer-specific products, pricing & promotions. When your buyer logs in to your B2B portal, they should be looking only at the specific products, pricing and promos that they are eligible for. Inventory data. Top B2B portals give your buyers inventory levels of your products, including the option for in or out-of-stock notifications and “available-to-ship” dates. Multi-currency support. Particularly important for businesses with international customers, your B2B portal should be able to accommodate multiple currencies. Contact page. Your customers should know exactly where to go if they have questions while placing orders. The following are some examples of B2B portals we at Handshake have set up across multiple industries. 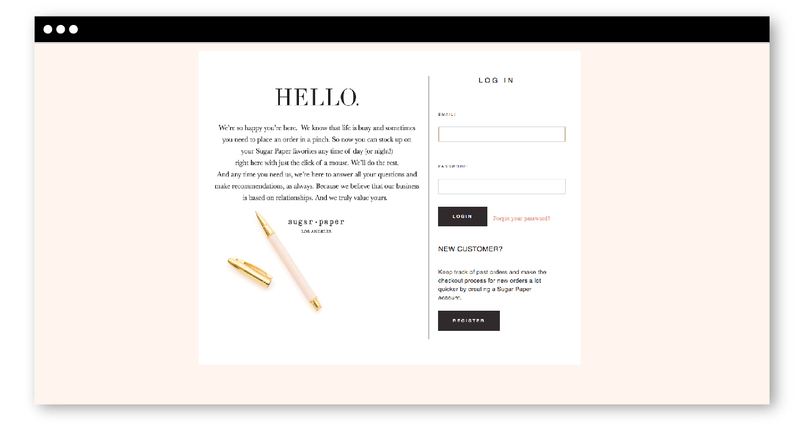 We customized Sugar Paper’s B2B portal to make sure it was on brand, including a special welcome message. 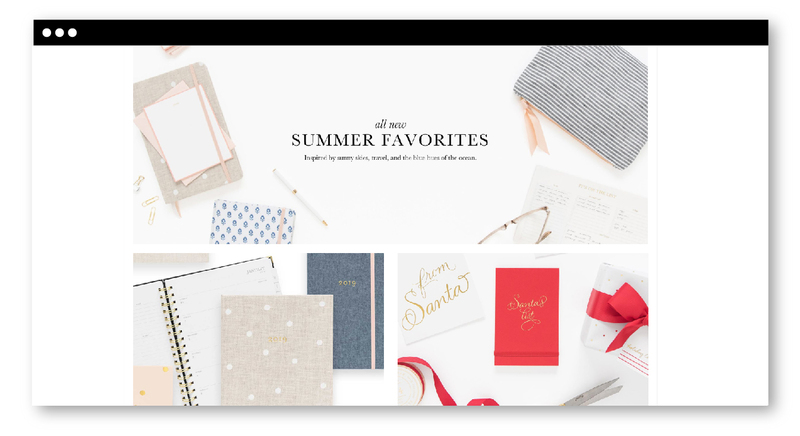 For design-centric companies like Sugar Paper, having a B2B portal provider that can represent your brand and aesthetic is important. 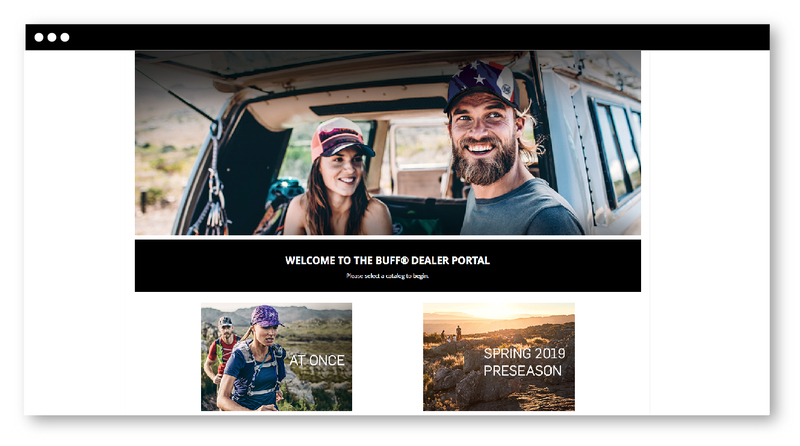 Buff, Inc. also has a beautifully customized, on-brand login page and represents both their pre-season and in-season collections using our Catalogs & Collections features. Your B2B portal should allow your customers to browse your catalog and filter and sort according to your product attributes. 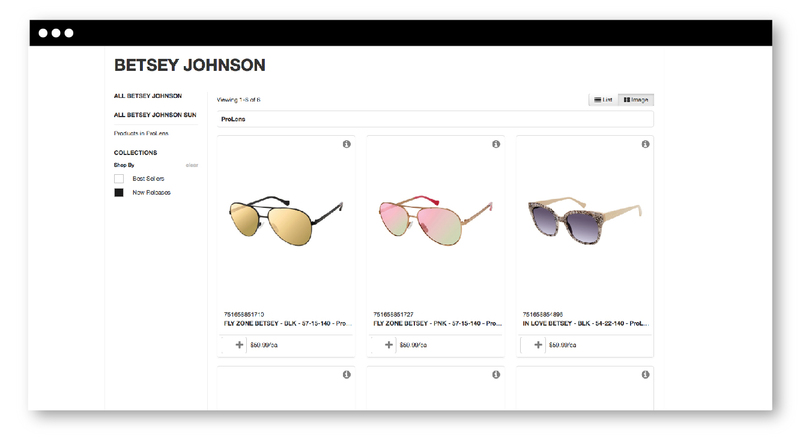 Walman Optical uses our custom Filters feature so their buyers can shop by Best Sellers or New Releases. 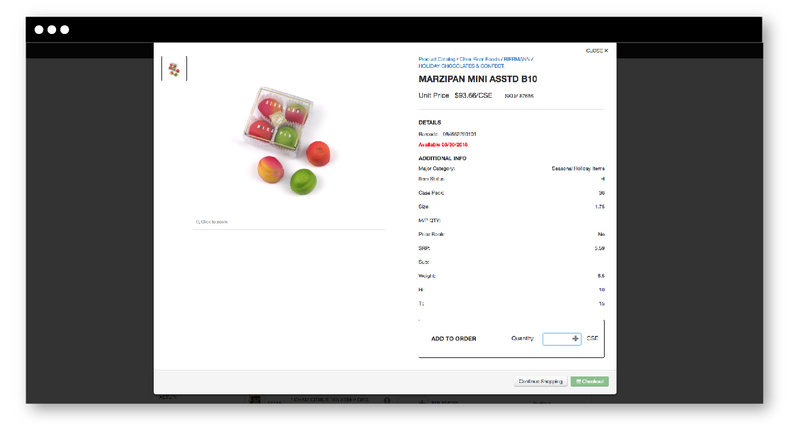 Chex Finer Foods takes advantage of our Inventory features, notifying their buyers of the Available-to-ship dates on items that are currently on backorder. 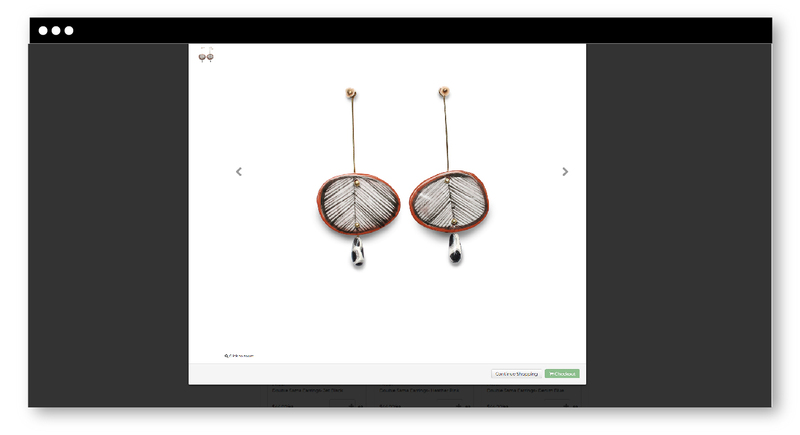 Your B2B portal should allow for multiple product images, allowing your buyers to zoom in for more detail. Here’s an example of Hechizo’s jewelry product at full zoom below. For more examples of Handshake’s B2B portals, click here. 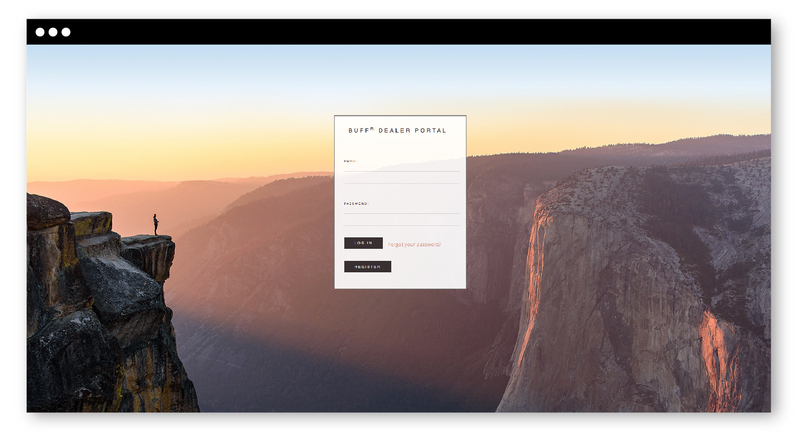 Do you want help setting up your own B2B portal? Handshake can help. Take the first step and schedule a ten minute call with a Handshake specialist. You can share your requirements and, together, decide together if Handshake’s the right fit.